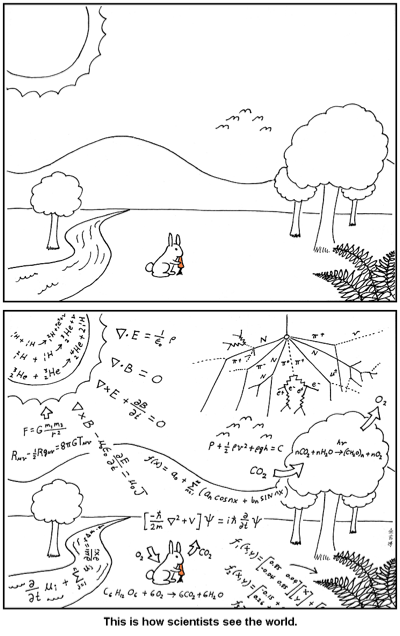 How Scientists See the World? This is how scientist see the world. A year ago, a massive oil spill began in the Gulf. The entire country was glued to the news until the well was capped, and then we forgot about it. 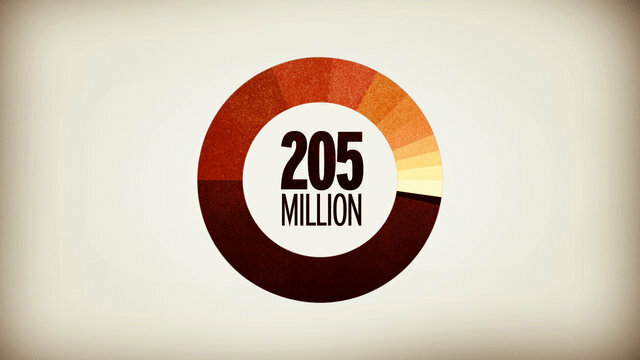 This short animation made by Chris Harmon shows How much oil was that exactly? Where would it have gone? How dependent we truly are on oil?. 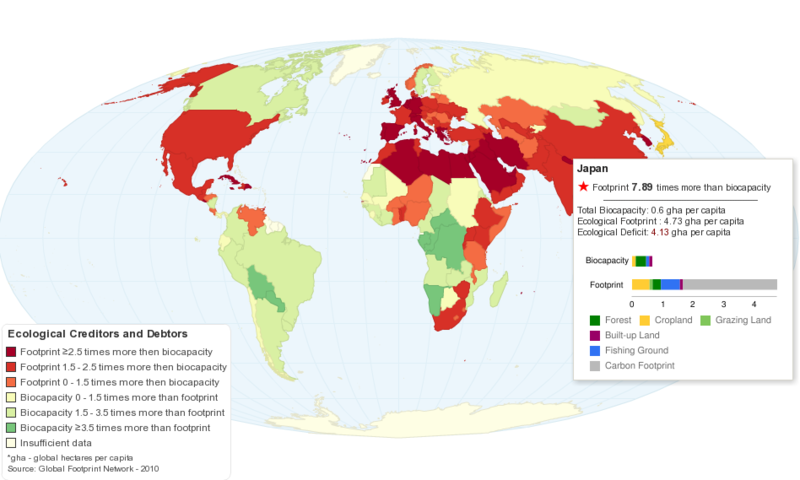 This above map compares each country's total consumption Footprint with the biocapacity available within its own borders. 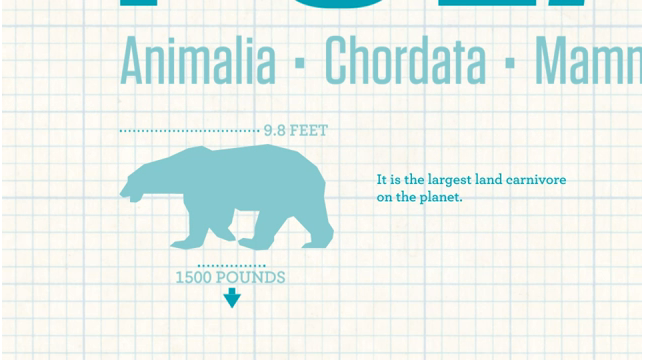 It is created by ChartsBin.com for The Economics of Ecosystems and Biodiversity (TEEB) visualizing the value of nature challenge. Rising sea levels could threaten an average of 9 percent of the land within 180 U.S. coastal cities by 2100, according to new research led by University of Arizona scientists. 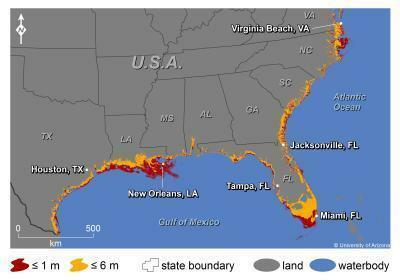 This map shows where increases in sea level could affect the southern and Gulf coasts of the US. The colors indicate areas along the coast that are elevations of 1 meter or less (russet) or 6 meters or less (yellow) and have connectivity to the sea. Credit: Jeremy Weiss, University of Arizona. 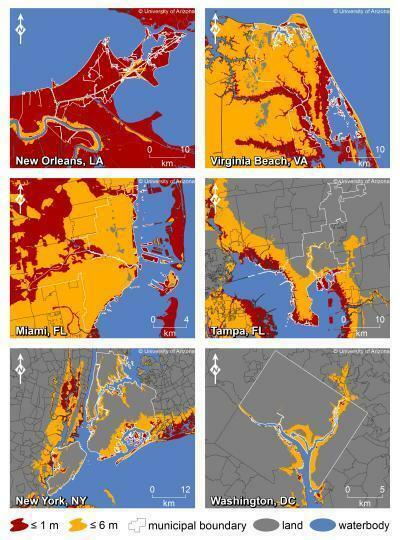 This map shows where increases in sea level could affect New Orleans, Virginia Beach, Va., Miami, Tampa, Fla., New York and Washington, D.C. The colors indicate areas along the coast that are elevations of 1 meter or less (russet) or 6 meters or less (yellow) and have connectivity to the sea. Credit: Jeremy Weiss, University of Arizona. This map shows current and historical worldwide carbon dioxide(CO2) emissions from the consumption of energy in the world. 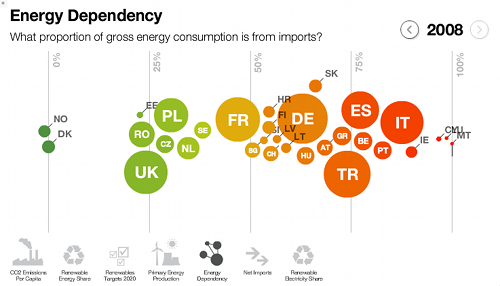 This visualization compares different EU countries in terms of their carbon emissions, renewable energy share, energy dependency, net imports, and progress towards their respective renewables targets. Ice sheets in Greenland are melting faster than ever before, according to new research. 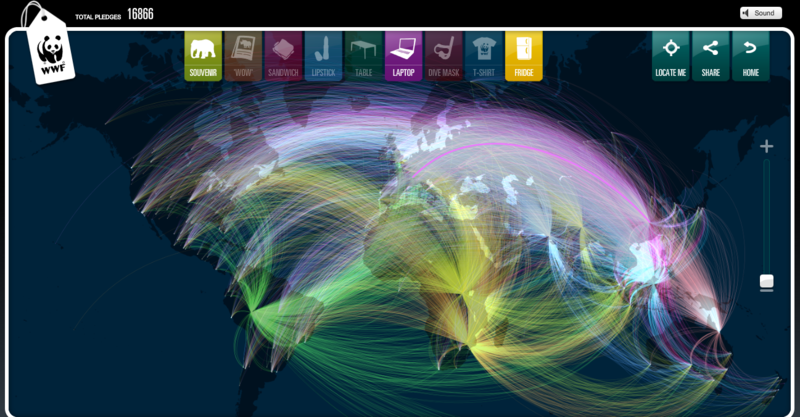 How Social Media Was Used During the Queensland Floods? 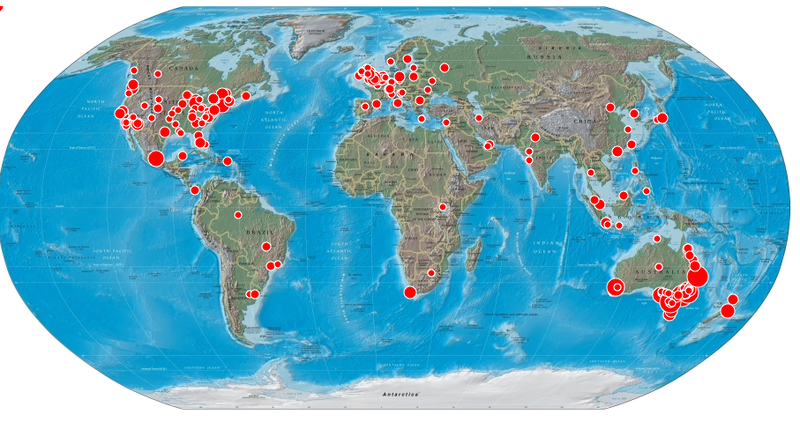 Sysomos.com, social media monitoring and analytics company decided to take a closer look into how social media was used during the Queensland, Australia floods?.